Say what you want about Google+, but the Hangouts might be the biggest plus (pun fully intended) to Google’s attempt at social networking. In the beginning it was just for video chatting with a few of your friends, but then you could watch Youtube videos for some added fun. Now Google decided you and your friends should get to work and added in Google Docs support. 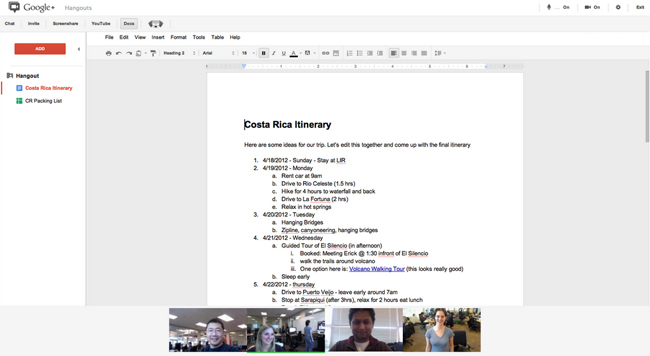 While video chatting with your co-workers or buddies you can all work on a document at the same time. Google says you can do trip planning or lecture notes, but we all know there will be lots of doodling and other fun things that will come from this.